Comedian, actor and now writer, Kelvin Hart has finally released his much anticipated book titled "I Can't Make This Up". The book which is now in stores have gained so much positive reviews giving it a wider reach and acceptablity. 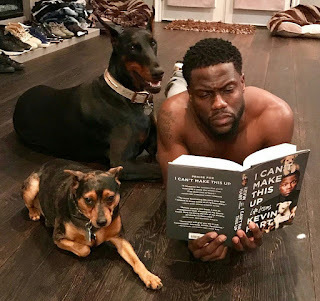 It gives an indebt of life around Kevin and how he tackled them to become this successful, giving it an almost similarity with that of Teju Baby Face, a Nigerian Comedian, entreprenure and Tv host.